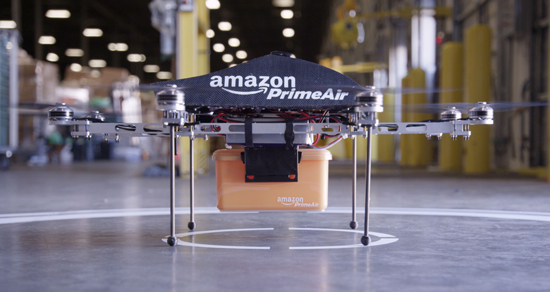 If you’re already taking advantage of Amazon’s Prime service, this is a post for you. And if you’re not, it might be a good idea to pay attention too. Why? Well, the company announced today they are raising prices on their Prime service to $99 from its current level of $79. Students will pay $49, up from $39. New members have until March 20 to sign up for $79, according to the company, while current members will see the price increase to $99 at their next renewal. Guess they’ve gotta pay for those drones somehow, right? Members whose accounts are set to renew before April 17 will be charged $79. Lucky them. Currently, members get unlimited free two-day shipping on eligible items, free streaming of movies and TV episodes, and free e-book borrowing from Amazon’s library of more than 475,000 titles. It’s expected that Amazon will offer additional services and perks to help soften the blow of the price increase. But so far, no word on what those might be. In the meantime, if you haven’t signed up yet, now would be a good time. Check out more at the official Amazon Prime page. It pretty much goes without saying that Star Wars, and all its many incarnations, are cultural icons of great significance. But, we’ll say it anyway. Why not? It also pretty much goes without saying that Star Wars is hugely popular entertainment that have captivated audiences all around the world. Live action movies, toys, animation and more. Check out the preview after the break. 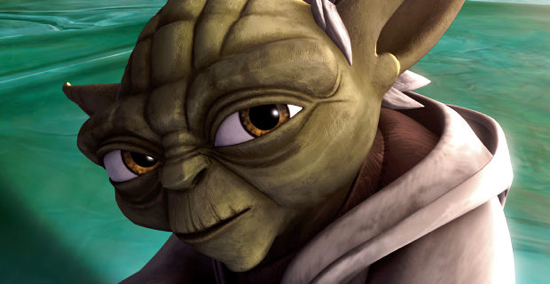 Look for Star Wars: The Clone Wars Lost Missions to arrive on March 7. With House of Cards, Netflix established itself as a major player for original drama and raised the bar for online series.pay services. With others like Amazon Prime struggling to catch up, Netflix is about to release the second season of its flagship drama. When last we left Kevin Spacey’s Frank Underwood he was about to become the Democratic nominee for Vice President of the United States. How will he use this new power to better serve his own ends, those of his wife and the rest of his political cronies while also dodging the wrath of a spurned ex-lover who also happens to be a political reporter? Guess that’s just what Season 2 will be all about. To help get you ready, we’ve got several previews for the new season Check them out after the break. 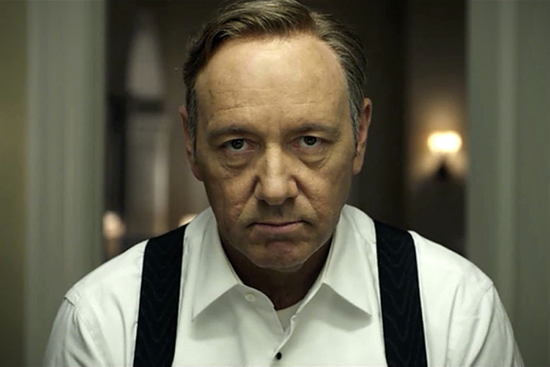 Netflix will release all episodes of Season 2 of House of Cards on Friday. Once again, our fearless leader has posted something cool at his own website instead of here at The Flickcast. We’re still not a hundred percent sure why he does it, but that’s not really what’s important. 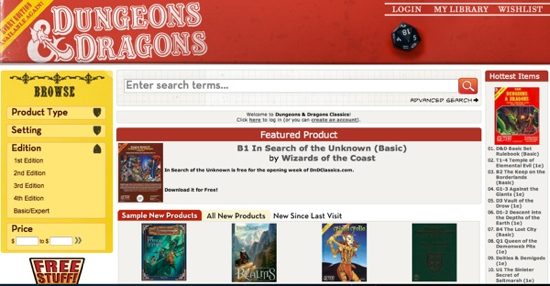 What is important is the fact that the fine and generous folks at Wizards of the Coast, in conjunction with DriveThruRPG, have launched a website known as Dungeons & Dragons Classics. What is D&D Classics, you ask? Well, it’s an “online PDF store that features classic content from every issue of D&D, including fan-favorite supplement materials and iconic adventures.” Awesome, right? This is a great service for those of you, like one or two writers around here we won’t mention, who have “misplaced” your D&D books or who want to get into the game for the first time. No, they’re not free. But that’s okay, great things seldom are. However, the prices are reasonable, especially if you really want the classic D&D books (and more) in a more manageable format. This might get expensive. Yahoo! has released the first ten episodes of Tom Hanks’ new animated, sci-fi series, Electric City. Created by Hanks, the series is accompanied by digital, social, mobile, and gaming media opportunities meant to help immerse and engage viewers. What does that mean exactly? Well, it means games on the site and apps available for mobile devices tie into the series, a 3D map of Electric City is provided, behind-the-scenes videos are available, and much more. The world as we know it has ended and out of the rubble, the Electric City stands as a symbol of peace and security. Yet under the veneer of order lies a world full of secrets and violence. Secret police, back-alley dealings, daring chases, and murder all find a home in the “Electric City.” Through the lens of a functioning, yet dystopian metropolis, “Electric City” touches upon relevant global issues and themes including energy consumption, freedom of information, crime and punishment and more. Lending their voices to this dystopian world are Hanks, Jeanne Tripplehorn , Holland Taylor , Ginnifer Goodwin, Jason Antoon, and more. The first ten episodes, premiered on July 17, with the remaining episodes being released on July 18 and July 19. Experience Electric City for yourself at the official website. When cool new things come out like Amazon’s recent Cloud Player service you pretty much assume these things will work with your iPhone, iPad or other iOS device. They are, after all pretty darn popular with the kids who also happen to love music. Sadly, at least at launch, that wasn’t the case with Amazon’s new offerings. That was then. Now, things are a bit different. Amazon has decide that IOS users have suffered enough and has flipped the switch that allows Cloud Player to work with Mobile Safari. You will still get the ominous “Your browser isn’t supported” warning, but once you get past that you can experience the service in all its glory, complete with background playback and control. In case you’re not familiar with Amazon’s Cloud Player service, you get 5 GB of free storage once you sign up. Anything purchased from the Amazon MP3 store can be automatically added to your Cloud Drive without counting against your storage quota. In addition, Amazon will give you an extra 15 GB of free storage when you purchase at least one MP3 album, bringing your storage limit up to 20 GB. You can also upload and stream any tracks you already have with it. All in all, its a pretty cool service. Sure, it would be nice to have a native IOS app instead of having to use Safari, but one thing at a time. This is progress and you can probably expect a new IOS app soon enough. Who says you can never find a bargain these days? Well, our friends at Marvel are providing one at least in the form of a ‘Super Sale’ featuring comics starring many of your favorite characters. The Holidays may be over, but that doesn’t mean Marvel can’t stop giving because today begins the red-hot 99 Cent Super Sale on the Marvel Comics App! Running through January 4th, this Super Sale spotlights a different character or series every 24 hours, offering readers a brand new set of sale titles each day…and each issue is only 99 cents! From some of the biggest Marvel creators, featuring fan favorite Marvel characters, Marvel fans young and old, can not miss out on this great opportunity! Today, experience a “Brand New day” with the Amazing Spider-Man, as a new era begins for everyone’s favorite wall-crawler…and each issue is only 99 cents each! Sounds pretty good to us. To download the Marvel Comics app go here. Rumors swirling over a possible round of layoffs at web-giant Yahoo, turned out to be true and exhibited the worst-possible timing for employees cut-loose just prior to the holidays. Today, Yahoo confirmed that roughly 600 employees would be let-go as the company continues to attempt a turnaround under the leadership of CEO Carol Bartz. In an official statement released today, Yahoo attempted to explain their recent decision. The layoffs affect roughly 4 percent of its total workforce of 14,100 employees, but underscore the one-time pioneering Internet company’s recent misfortunes. Most industry-watchers seem to pin Yahoo’s rough performance on general mismanagement and a series of unsuccessful merger opportunities. As you may recall, Yahoo turned a cold shoulder to Microsoft’s 2008 offer to purchase the company for an excess of $30-per-share, a roughly $45 billion offer. For such a short week, Google is really on a roll. Yesterday, on Google’s main search property, a strange yet fun and kinetic new Google logo appeared prompting users to wonder exactly what the search giant was up to. In the recent past, the Google “Doodles” as the company refers to its fun and different company logos, were typically used to celebrate a birthday or an important milestone in history and would always link to search results relevant to the event or at minimum, an official blog post would explain what the company was up to. However, this time around, only a mysterious tweet from Google’s official Twitter account offered any clue whatsoever. Indeed, and one can only imagine the countless hours of lost productivity as Google Search users reported being captivated by the interactive animated logo that bounced kinetically-charged balls across the screen as the user moused-over the Google logo. A Google rep went on record yesterday with Search Engine Roundtable to explain things a bit further. Hit the jump for all of the details from Google’s press event this morning.